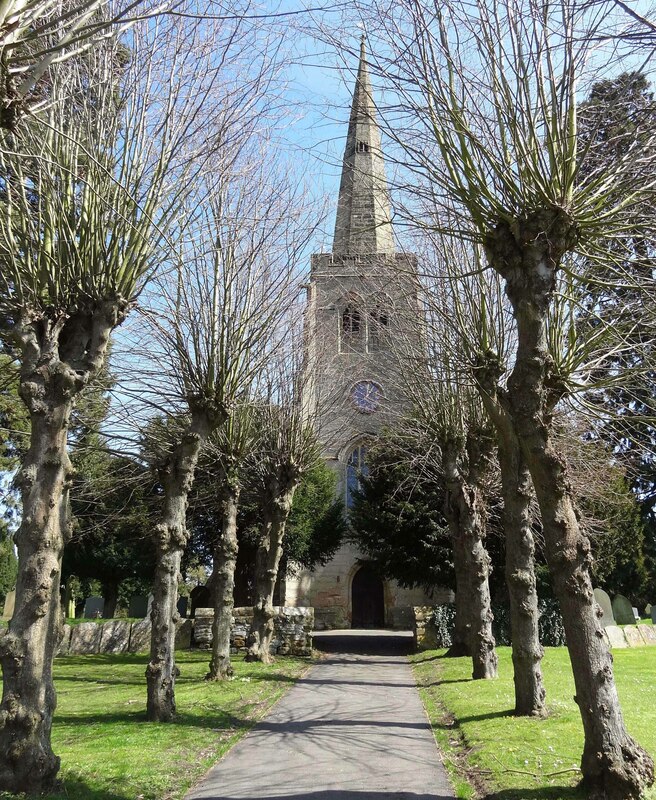 St Peter’s is a very pretty church, dating back to the 14th century, in the heart of the picturesque village of Grandborough, which is situated in the Leam Valley, off the A45, approximately 5 miles from Dunchurch and 8 miles from Rugby. 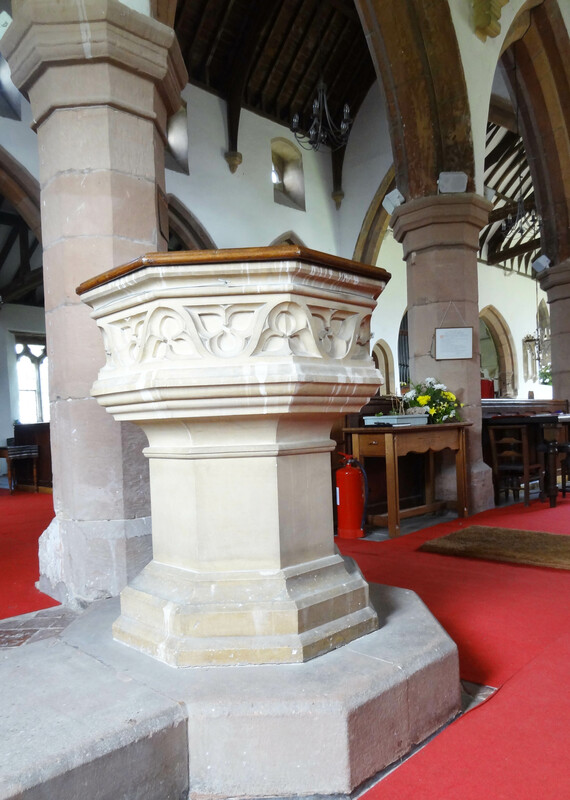 The church was erected mainly in the 14th century and is chiefly in the Decorated style with a little transitional Early English - decorated work. The Feast of St Peter and St Paul was originally held on the same day, 19th June. Before the Reformation the church was dedicated to St Paul but after the Reformation became St Peter's church. G E Robinson and W L Sutton at a cost of £15 and was placed in the church on 25th April 1846. The Tower was opened out in 1868 when the western gallery was removed. Presumably the BELLS had been rung from this level until then. They are hung for ringing and were last restored in 1810 at a cost of £100.7s.8d but are now in a very poor state of repair and are only chimed by means of Ellacombe apparatus in a cupboard in the tower. No. 1 Cantate domino canticum novum 1641 (O sing unto the Lord, a new song - Psalm 149). No. 2 John Smith in Edgebaston made me 1706. No. 3 Henry Bagley made me 1641. No. 4 Christopher Tille, Minister, Mr Philemon Clarke and Mr John Goode, churchwardens 1706. Joseph Smith made me. No. 5 By my voice the people may knowe to come to heare the word of God. Henry Bagley made me 1639. The history of St Peter's was revised in February 2014 by Historian, Iain Soden. 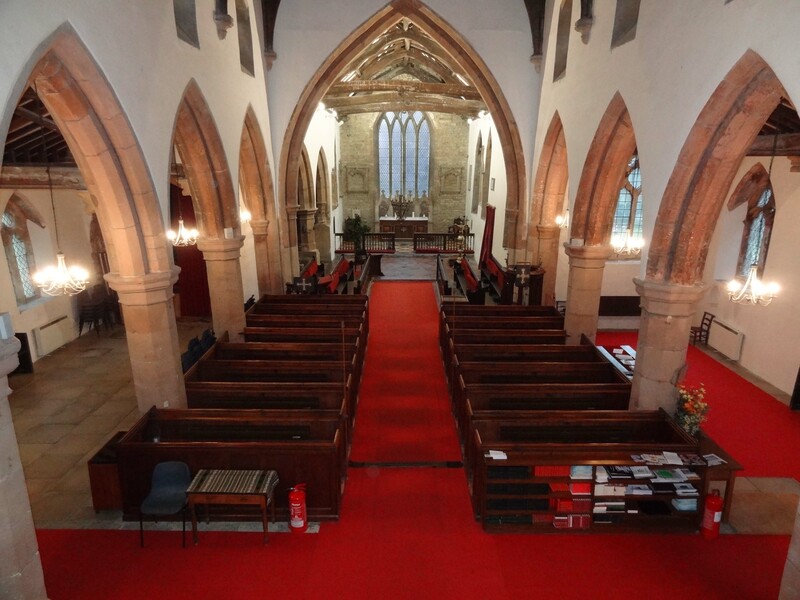 If you would like to read more about the church click here, St Peter's Story. 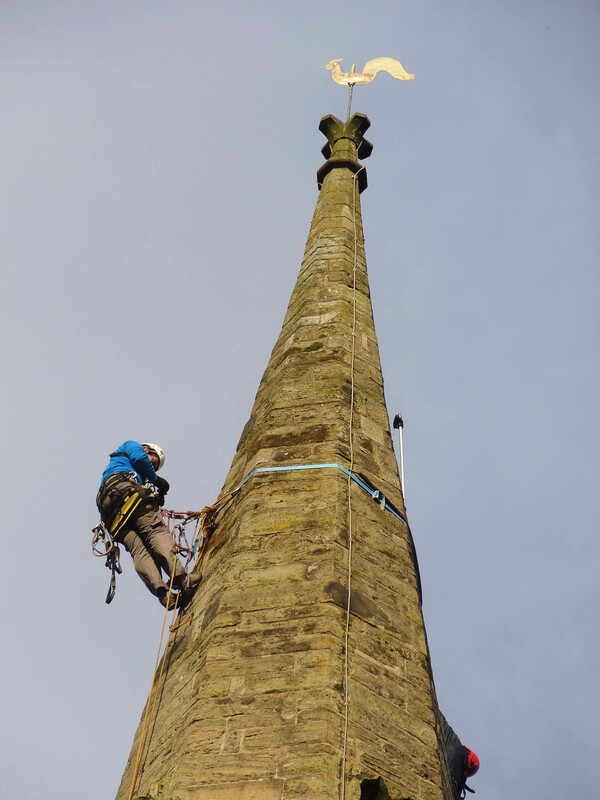 In the photos below, you will see 2 people abseiling on the church spire who were in fact doing an aerial survey of the stonework. 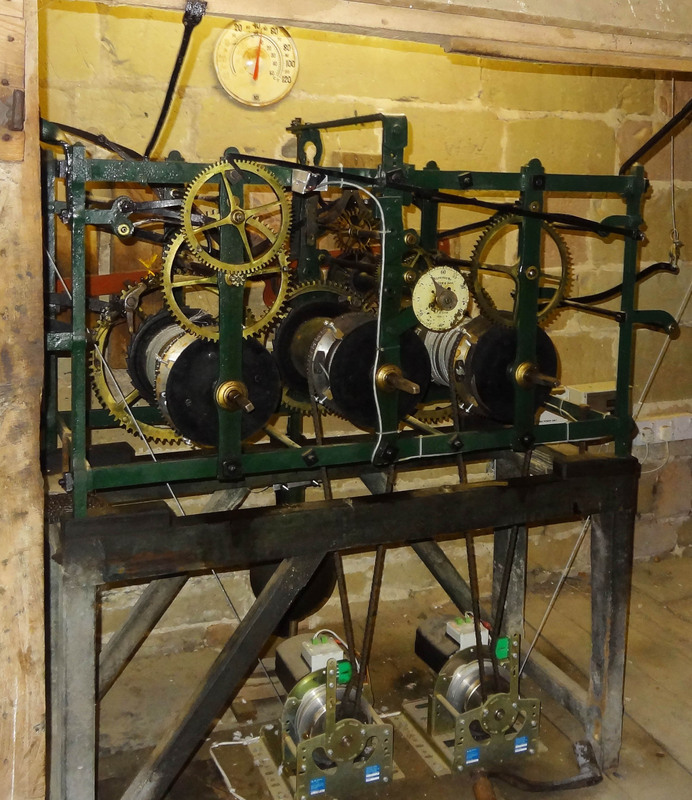 The last photo is of the mechanism of the clock which has 3 motors, one of which was missing at that time, as it was away being repaired.